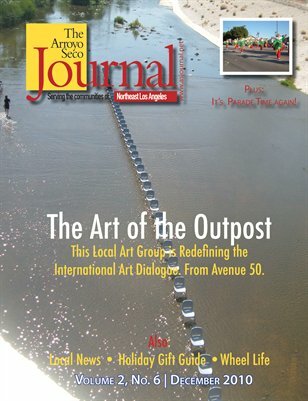 Outpost For Contemporary Art is creating an international art dialogue from Highland Park, plus part two of the History of Montecito Heights. Plus Wheel Life, Travel, Just Ask Me, Gizmotics and more! The 2011 Summer Travel Issue! Montecito Heights: 100 (or so) Already?